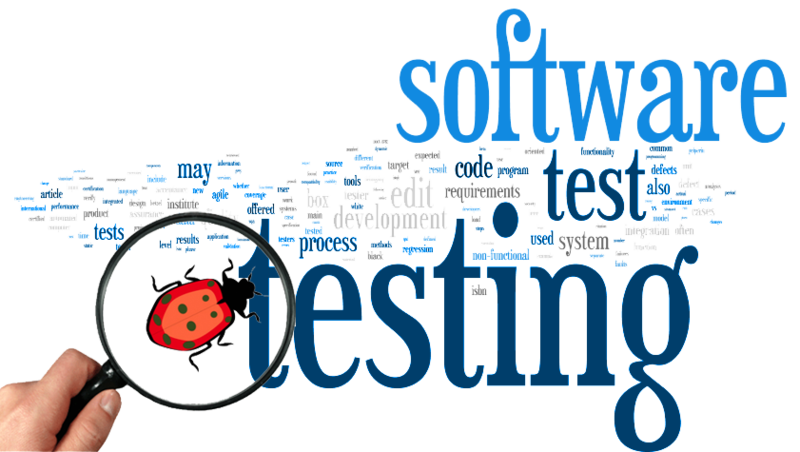 Software testing is performed to investigate the quality of software program or product. Whether you are going to deploy a web app, a massively critical mobile app or any other software product, web app testing, mobile app testing or software testing is an essential step before its deployment. It is an effective quality control method for software, which is done to ensure that the software is bug free and can be implemented safely. Software testing also brings out the information about the risks associated with implementation of particular software program. Software testing ensure that the product or service sells by ensuring that even the most critical functionality works and does not affect interacting systems. One can sell the software based on proven high performance through testing. It encourages the repeat sales. Early detection of flaw helps in reducing the cost, efforts and time of flaw detection. Earlier you find the defect, lesser re-development and re-testing need to be done. Mobile application testing is done for testing the developed app for its usability, functionality and consistency. Mobile app testing can be of two types: Manual testing or automated testing. Mobile app quality testing is performed to ensure that each and every functionality is working well in accordance with various computing environments. It is important to test mobile app strategically and through all aspects so as to ensure the best and positive experience for customers or users. Why to do mobile app testing? 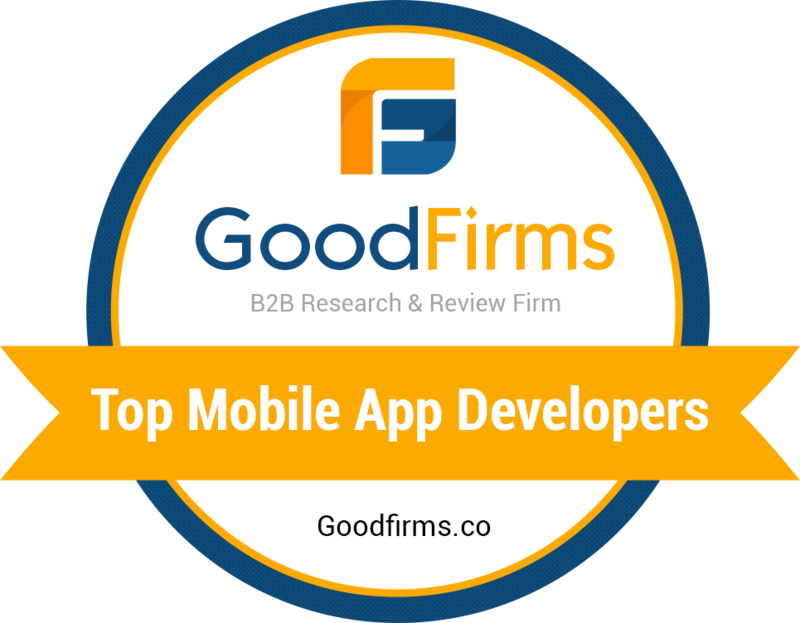 In the highly competitive market of mobile applications, it is important to deliver high quality apps. The quality app can only make or break the reputation of the app. So the mobile app product owners have to take care of usability and functional requirements of their mobile app by testing the applications for various devices, networks, models, locations, browsers and operating systems. What to test with mobile app testing? It is a big challenge to determine what to test for the quality of the mobile app. The app can be a complete failure, if any critical element of the app is missed for testing. Different features for each category should be tested thoroughly. For example functionality testing and compatibility testing should be done thoroughly for each and every functions against each and every devices and systems. This kind of testing can only ensure “a quality front-end experience for all your users”. As the number of variety of devices are being used by consumers for surfing, the web app needs to deliver consistent and high quality user experience. The web app should be tested for its responsiveness and performance on various sizes of devices. It is important to ensure that the website should give the best web experience. Web app testing is done to check out compatibility, loading time and functionality. Web applications and interfaces related to web are tested by using web application performance tool (WAPT). Software testing can be done using various approaches to ensure that a software application is tested completely in particular. As more complex software applications are being made, it is essential to go for a robust testing methodology so that the software product should meet all the final requirements and can operate successfully in all foreseen environment with maximum security and usability. Static Testing: It is done through reviews and inspections. Static testing is done without executing the program and is often used as proofreading for verification. Dynamic Testing: It is done by executing programmed codes actually to checkout the dynamic behaviour of the code. It involves validation of the software by executing specific test cases that can be done through automated or manual process. Visual testing (GUI testing): This type of testing is test of product’s graphical user interface to ensure that it matches with the written specifications for it like button alignment, testing images, etc. on any webpage. GUI (Graphical User Interface) testing is also performed to check how a GUI application reacts on different data input via keyboard and mouse actions. White box testing: It is performed to test working or internal structures of a program. It is a structure based or ‘glass-box’ testing technique. In white-box testing tester has to focus on how software works and how it is implemented. Black box testing: It is done to examine functionality without the knowledge of internal implementation i.e. without checking the source code. Black box testing is done to show for what software is supposed to do and not how that software does it. It is an input/output driven and specification based technique. Grey box testing: It is termed as combination of black box testing and white box testing methods. In this type of testing, tester has access to design documents and database. This helps tester to prepare better test data and test scenarios for preparing the test plan. Unit testing: It is performed to know whether the individual units of source code with associated control data are fit for use or not. It verifies functionality of specific section of code. This level of testing is usually performed by developers as they work on the code. It involves both defect prevention and detection strategies that leads to elimination of construction errors of the code even before it is passed on to QA for testing. Component testing: It is also referred as program or module testing. Component testing involves testing of every single component of an application. It is used to find defect in the complete module and thus verifies the proper functioning of the software. The most important role of component testing is in finding bugs. It is always beneficial to use component testing before integration testing, because it ensures each and every component is functioning effectively. Integration testing: It is done before system testing to test whether integration in between the components interacts smoothly and properly with different parts of the system. Integration testing is performed after two different components are combined or integrated. It is done with two kinds of approach: one is Top Down approach and another is Bottom Up approach. In the Top Down integration testing approach, testing is performed from top to bottom as per the architectural structure. It leads to testing that is performed in an environment similar to real world. In Bottom Up integration testing approach, testing is performed bottom to upwards of the architectural structure. It leads to testing that can be done together with development. System testing: It is done to test the complete system after integration of all its components. It is considered as the final test for the verification that the final system meets all the required specifications. It helps in investigating both functional and non-functional requirements. System testing is generally considered as black-box type of testing as it does not require knowledge of inner design or code. User acceptance test, which is performed by user to check the functionality to validate whether the system is fit for use for the business or not. Operational acceptance test, which is done to validate whether system is in coordination with all the operational requirements. Contract acceptance testing, which is performed against the acceptance criteria of the contract for producing customised software. Compliance acceptance testing, which performed against the regulations like legal, government or safety regulations. Alpha testing: It is performed at the developer’s level by observing the problems faced by users. Alpha testing is performed when an application is about to complete the development phase. It is performed in group along with in house software testers and software QA engineers. Alpha testing is the last testing before releasing the system for public use. It is the first phase of testing in the process of software development. Beta testing: It is referred as field testing and is performed at customer’s site. Users use it under real world conditions and where intended audience tries the product or system. Beta testing is the second phase of testing in process of software development. The aim of beta testing is to place the product in hands of real world users to find defects from the user’s point of view. The final released version should be clear of all such defects. The type of testing required for an application can be categorised into two types – Functional testing and Non-functional testing. Non-functional testing: It is not related to testing for specific function but it is used to test aspects of software like scalability, security or behaviour under certain conditions. Installation testing: It helps to ensure that the system can be installed and working smoothly on customer’s hardware. It focuses on whether customer will be able to install and set up the system successfully on his own hardware. Development Testing: It is a software development process in which defect detection and prevention strategies are applied to reduce time, risks and costs associated with development of software. Usability Testing: It helps in detecting how easy the software is for users. It checks the user-friendliness of the software. It tests the application with the aspect of flow, navigation, content, speed etc. when compared to similar previous applications. It is mostly tested with respect to four areas: accuracy, efficiency, emotional response and recall response. Sanity Testing: It is performed for some basic tests and it determines whether it is feasible to proceed for further testing. It usually helps in finding dependent missing functionalities. Smoke Testing: This testing reveals even simple failures that could affect largely and may lead to complete rejection. It confirms whether the application is very badly broken so that the further testing is needless. It is performed on particular build which is termed as build verification test. Regression Testing: It is done specifically that reveals new software bugs or regressions in existing parts of system after modifications like patches, configuration changes, enhancements, etc. It verifies whether the previously developed and tested software is still performing correctly after the enhancements or changes. Destructive Testing: It is performed to test the robustness of any software. In this testing the application is made to fail in uncontrolled way to find the point of failure. Recovery Testing: It is performed to test the ability of the system that how fast it recovers from failures, crashes and hardware issues. Automated Testing: It requires special software to control the execution of tests. It helps in reporting outcomes and comparing results of previous test runs. User Acceptance Testing: It is considered as the final stage of functional software process. It verifies whether the software works the same for user or not i.e. user accepts the software or not, in real-world conditions. Compatibility Testing: It is performed to evaluate the compatibility of software with the computing environment. The computing environment could be operating system, hardware, database or any other system software. Performance Testing: It is done to determine the performance of software or system with respect to its stability, responsiveness, speed, etc. It can be performed under sub-categories like Load Testing, Volume Testing and Stress Testing. Database Testing: Database testing determines the quality of a customer’s experience in terms of interacting with application. This includes verifying all table names, column names for each table, column types for each table, primary key for each table, foreign keys, column data types between a foreign key column and a column in other table. This also includes testing for Indexes, clustered or non-clustered, unique or not unique. Internationalisation and Localisation Testing: It involves adaption of applications into various regional as well as international languages and technical requirements of target market. With this kind of testing, the general ability of software is tested, which verifies that the application can work even after it has been translated in any different language or adapted for any different culture. Software verification helps in ensuring that the application or software is in full accordance with the expected environments. It involves the process that evaluates whether the final product of the specific development phase matches with the requirements that were imposes at the initial phase of development. Software Validation involves the process that evaluates the product at the end of development process and confirms that the specified requirements for the application has been fulfilled. Software quality assurance is the measure to monitor the process of software development to ensure the best quality of the final product. It is referred as a supporting process that provides assurance that all activities, products and processes are in compliance with pre-defined plans. Krify is a leading IT solution provider that offers premium software quality testing and quality assurance services that caters the expectations in the demanding market for the software products or systems with greater efficiency and best user experience. We deliver high quality web app testing as well as mobile app testing services that is result oriented and at the same time cost-effective. Contact us today for all your quality testing issues.